The smell of Thanksgiving turkey and cranberry sauce will be lingering in the air when San Diego State football wraps up it’s regular season at home against the University of New Mexico on Nov. 24. 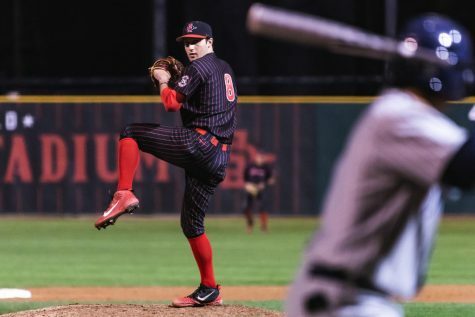 SDSU (9-2, 5-2 MW) will put its three-game win streak on the line against the Lobos (3-8, 1-6 MW), and is feeling the heat to finish the year with double-digit victories for a third straight season. 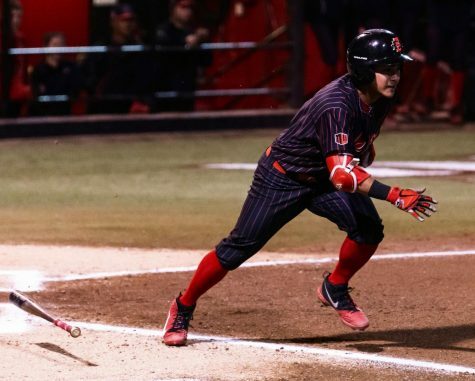 The 12:30 p.m. start time will mark the Aztecs’ first afternoon game of the season, which Long said is a potential obstacle the team will have to overcome. The Aztecs won’t play for a Mountain West Conference championship this year after division rival Fresno State University defeated the University of Wyoming last weekend to clinch the West Division, but SDSU redshirt junior quarterback Christian Chapman said there is still plenty of incentive going into the final game of the regular season. The Aztecs will head to a bowl game next month, but before learning their destination they will face a New Mexico team coming in as losers of six straight games. 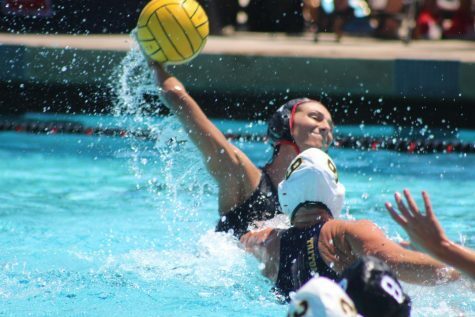 The Lobos may be better than their record indicates, however, as three of their losses have come by three points or less. New Mexico recorded five sacks in its 38-35 loss to University of Nevada, Las Vegas last weekend, and boasts the fourth-best rush defense in the MWC, allowing 147.64 yards per game. 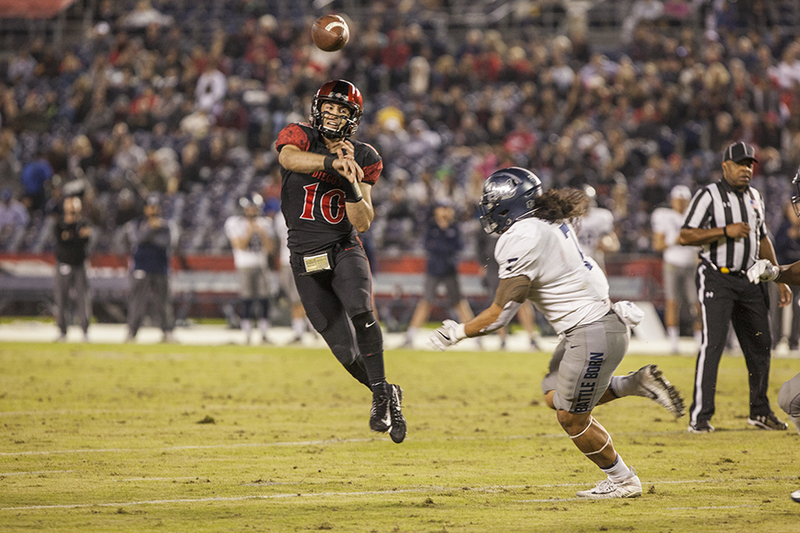 The Aztecs will counter on offense with Chapman, who has 1,650 passing yards this season with 11 touchdowns and 2 interceptions, and their not-so-secret weapon in senior running back Rashaad Penny, the nation’s leading rusher with 1,824 yards. Penny has rushed for over 200 yards in three straight games – a school record – and will be less than one week removed from the best game of his SDSU career, finishing the team’s 42-23 victory over the University of Nevada on Nov. 18 with 429 all-purpose yards, 222 rushing yards on 24 carries, and a punt and kickoff return for touchdown. Controversy surrounded the running back on Monday, when it was announced that he was left off as a finalist for the Doak Walker Award, presented annually to the nation’s top running back. Penny, who will be playing his last home game in the Scarlet and Black on Friday, took the news in stride, but Long said that he wants to see his team, and his running back, play angry against New Mexico. “I hope what it does for our team is make us mad. I hope it makes (Penny) mad, too. Then we will have no problems on Friday,” Long said. The Lobos will try to keep up with Penny on the ground, and may be the team to do it, as they hold the conference’s third-best rushing offense, averaging 249.36 yards per game. 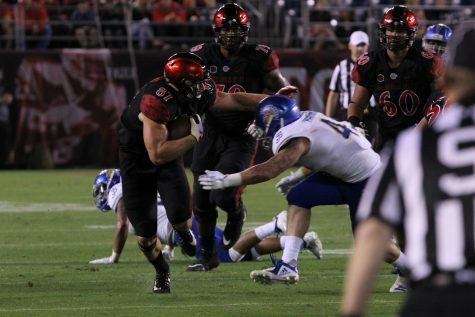 SDSU will counter with the top-ranked run defense in the Mountain West, however, allowing 113.45 yards per game. New Mexico has put the ball in the air more this year than in previous seasons, but had its ground game on full display against UNLV, rushing for a season-high 482 total yards while attempting only four passes. The Lobos have been operating a triple-option offensive attack this season, with senior quarterback Lamar Jordan, who ran for 116 yards and two touchdowns against UNLV, often splitting reps with freshman quarterback Tevaka Tuioti. 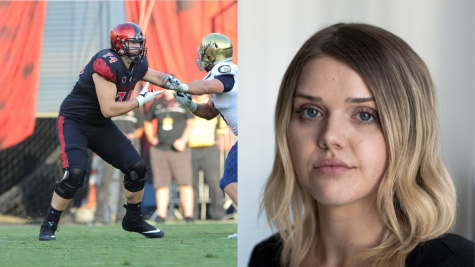 SDSU will honor its senior players before the game as part of Senior Day, which celebrates the team’s seniors before the final home game of their careers. 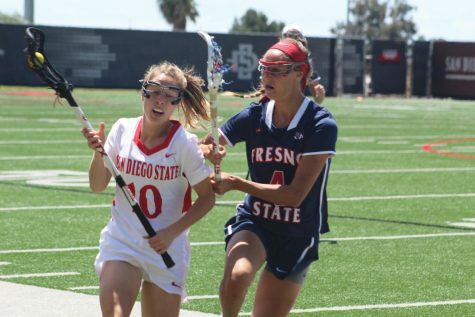 Long was the head coach of New Mexico, his alma mater, from 1998-2008, and is undefeated against his old team since becoming head coach at SDSU in 2011, going 3-0. 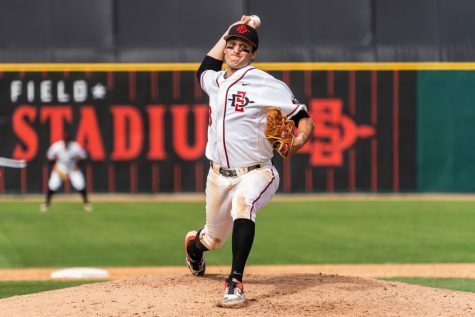 Chapman will be starting his 28th straight game for the Aztecs, placing him in a tie for second place with Billy Blanton in the school record books. 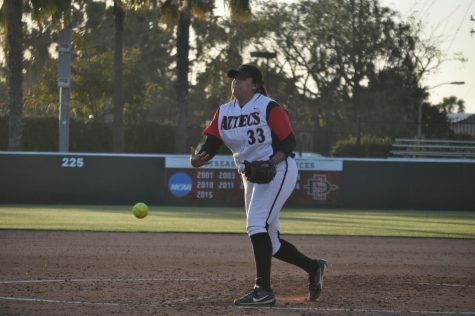 The Aztecs have won 25 of 40 games against the Lobos, and have won the last five meetings between the teams.